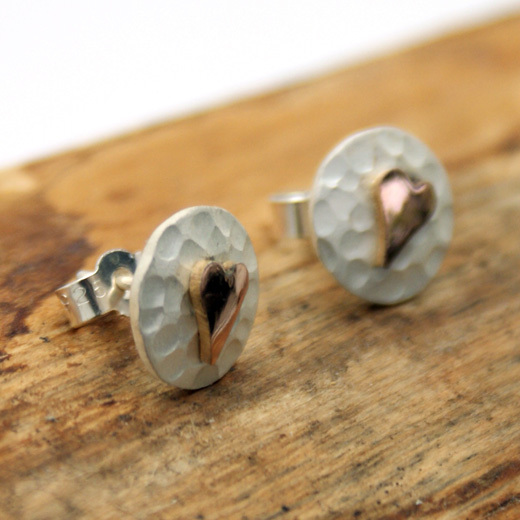 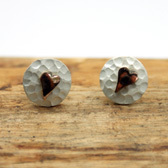 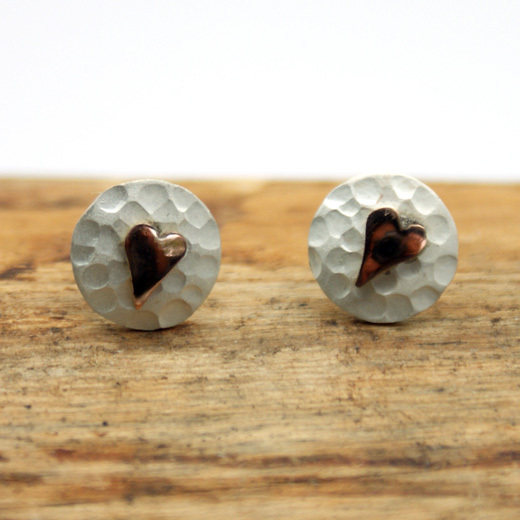 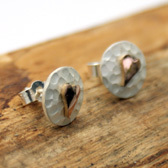 A very attractive and chic pair earrings from the Yulan range, they feature a small round sterling silver disc that has been planished (hammered) and embossed with a highly polished red gold heart in its centre. 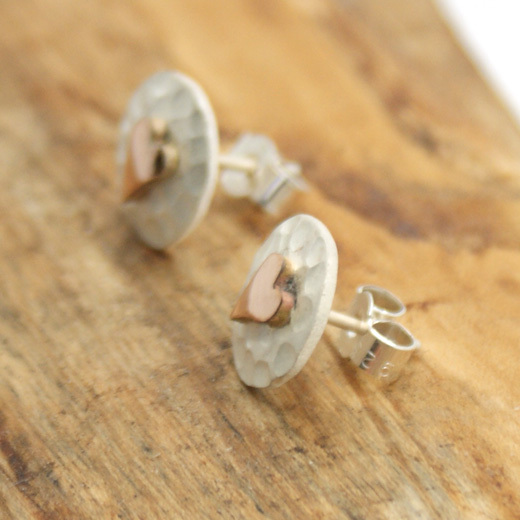 They have butterfly fittings and are only for pierced ears. These earrings are very pretty, will enhance any outfit and look equally elegant with evening wear.